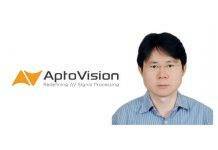 Founded in 2011, AptoVision is a Montreal-based company that provides advanced chipsets for AV/KVM signal extension, matrix switching, IP-based switching, video-wall and multi-view applications. In 2014, the company introduced a revolutionary AV signal distribution technology – the BlueRiver – and it has since ignited a spark of change in the proAV industry. In brief, BlueRive NT is a chipset that allows installers and OEMs to replace traditional AV matrix switches with IP switches while delivering noticeably higher price/performance, flexibility and scalability. The chipset enables end-to-end systems while integrating advanced inline signal processing capabilities such as light compression, broadcast quality scaling and multichannel audio down-mixing. 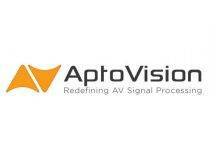 The BlueRiver family is based on AptoVision’s own FPGA IP. The solution is sold as a standalone chipset. The key breakthrough of BlueRiver is the AptoVision Channel Coder and Automated Clock Recovery. The Channel Coder is how we package all the different types of data we work with (audio, video, control, and Gigabit Ethernet) into a single packet-ized stream for the network. The Automated Clock Recovery system is how we overcome the central problem of using Ethernet for AV: Audio and video are inherently synchronous types of data, while Ethernet is a fundamentally asynchronous medium. BlueRiverNT+ is AptoVision’s latest product, leveraging Ethernet as a transmission and switching engine. It is also the first pro AV chipset to support true 4K/60/4:4:4 video signals. Compared to BlueRiverNT, BlueRiverNT+ adds the flexibility to transmit over fibre or copper media (up to an industry leading 250 meters on standard category cable), and the power of the new Plethora Engine. The Plethora Engine incorporates all of the AV processing needs of the pro AV industry into the BlueRiverNT+ chipset. Plethora includes video scaling, video wall processing, multiviewer compositing, audio downmixing, and more. The core BlueRiver technology has been around since AptoVision’s beginning in 2011, and is now in its fourth generation. The original BlueRiver technology was able to transport uncompressed audio, video, Ethernet, and control on a single point to point fibre optic link. BlueRiverNT upended the point to point status quo by moving that same uncompressed AV, Gigabit Ethernet, and control signals over standard 10 Gigabit Ethernet. This means that the traditional matrix switch – which is extremely costly to develop – can be replaced by low cost commodity Ethernet hardware. So what is the motivation behind the development of BlueRiver? “Ethernet always wins. AptoVision recognizes that and sees now as the time for pro AV to finally make the transition that so many other industries already have – movie rentals, stock brokers, travel agents!” enthuses Justin. Moreover, the use of off-the-shelf networking “centric” components such as networking FPGAs and optics for high quality AV signal distribution also presents an inherent challenge, Justin explained. But AptoVision’s ACR technology is able to uniquely overcome this limitation and convert such networking components into “synchronous” AV transmissions through a unique clock reconstruction mechanism that ensures clock coherency across the entire system. “The resulting benefit is zero frame latency, no frame artifacts and built-in genlocking capability, all on off-the-shelf, cost-effective networking components,” said Justin. Some familiar proAV names who are partners with AptoVision include Aurora Multimedia, AvenView, Creator, C-Win Technologies, DVI Gear, Go-Max Electronics, Grandbeing, IDK Corporation, iMAGsystems, and ZeeVee. As BlueRiver is a proprietary technology, so one can’t help but wonder, is AptoVision trying to create a new class of operating standards in the proAV industry? However, Justin refutes this notion and explained that the company’s intentions are actually quite the opposite. “So many more companies can innovate. We will see new 800-lb gorillas, and also new smaller niche players. We will see convergence of our “sub-industries” as digital signage companies work their way into commercial AV, and pro AV manufacturers work their way into video wall processing, etc etc. “This technology makes it easy to cross those boundaries, so the only limits are a business’s imagination.” – Justin Kennington on BlueRiver’s potential to disrupt status quo. So what sets BlueRiver apart from competing technologies like HDBaseT etc.? “Fundamentally, HDBaseT is a point to point technology. To build an HDBaseT switch, you actually build an HDMI switch, and add on costly and complex HDBaseT circuitry. This has many disadvantages.” According to Justin, HDBaseT matrix switches must be of fixed size (or if they are modular, they must be of fixed chassis size) and cannot be easily expanded. Traditional matrix switches are also inherently proprietary (ever tried putting an AMX card into an Extron chassis?). Being unidirectional, HDBaseT also lacks certain flexibility. Last but not least, Justin also mentioned the high cost to develop traditional matrix switches. “Not only are they complex, but a credible product line must include switches in several sizes, from 6-10 ports up to hundreds of ports. This limits the playing field to the very few companies with resources to invest in this kind of development. A smaller R&D pool means less innovation for the whole industry – and higher prices,” he commented. In contrast, running AV over IP and Ethernet networks carries none of the above-mentioned disadvantages as Ethernet switches are already available off the shelf in sizes from 8 ports to over 1,000 ports – and can be easily expanded and added on as a system grows. 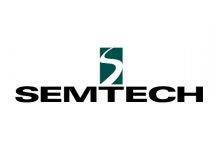 “In addition, Ethernet switches are 100% interoperable with one another. No problem mixing your Cisco with your Netgear with your Arista. The entire internet relies on this, so it’s guaranteed. Also, as Ethernet is fully bi-directional, so your 16 port switch may be configured as an 8×8, or just as easily as a 1×15 or a 12×4,” said Justin. With AV over IP technology like BlueRiver NT+, a manufacturer doesn’t have to develop any matrix switches at all. A small to medium-sized company can focus on developing a small portfolio of endpoint devices (transmitters and receivers) and have a complete and credible product line capable of competing with any of the big boys in the matrix switch business. Noting the intense excitement from the industry, everyone knows that it will only a matter of time before AV will eventually all be transmitted over to Ethernet. And now, the time is right as bandwidth and technology has began to come together. “With that in mind, you can expect to see more sophisticated processing capabilities built in, easier integration into products, and between AptoVision-based products and others (e.g. high end audio processing systems). And of course we are architected for speed. Today we are the only provider who can extend and switch 4K60 4:4:4. Tomorrow we will be the first to 8K,” said Justin on AptoVision’s future roadmap.